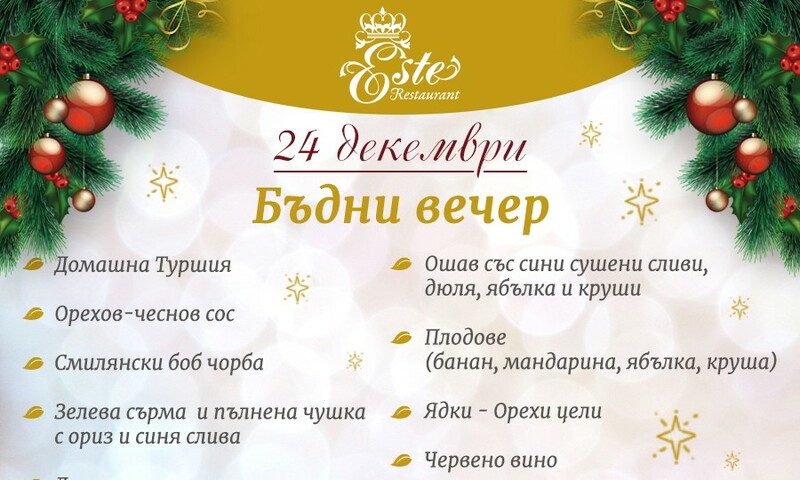 Get your fasting menu for Christmas Eve from restaurant Este – it is TAKE AWAY, for your convenience! 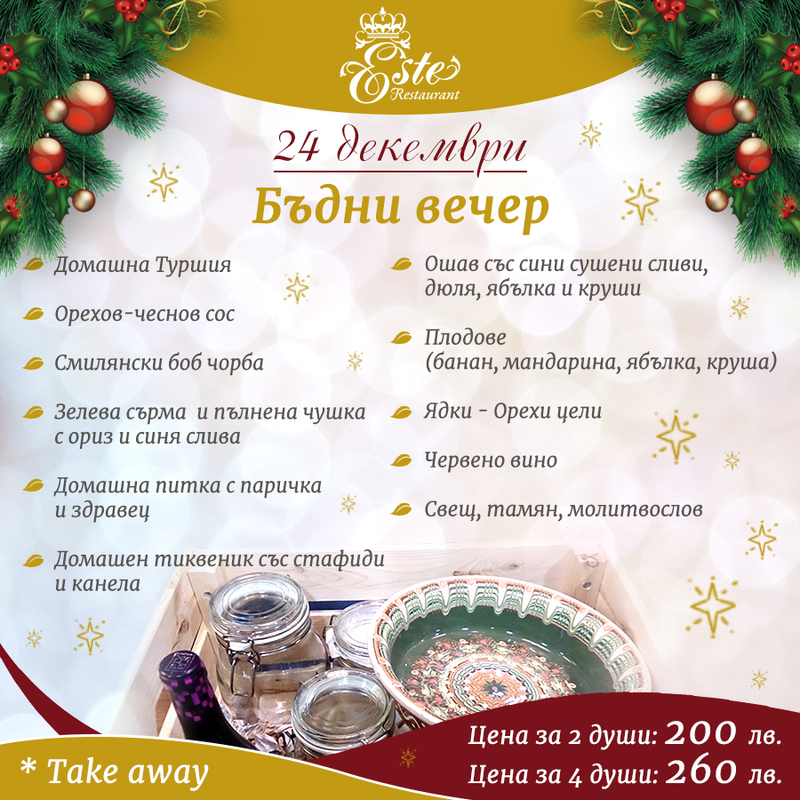 Traditional dishes will be served in a wooden crate, pottery and jars, cake will be wrapped in a towel. Treat yourself with a warm, cozy and delicious Christmas Eve!